From real estate closing transactions to estate planning, we handle it all at our law firm in Avon, Connecticut. 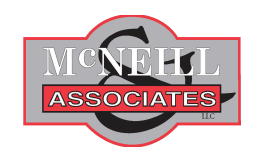 McNeill & Associates, LLC represents residential and commercial clients in real estate law matters. We also conduct education hearings and handle probate matters. Tom C. McNeill, Jr. has been practicing law since 1978 and has been in private practice since 1987. He and his team provide a hands-on approach to helping you reach your goals and objectives. They are good listeners and do whatever they can to assist you. If your issue is outside our field of practice, we will refer you to a qualified attorney who can assist you. For existing cleints, representation in other areas is possible by engaging selected Attorneys on an of counsel basis. This firm enjoys client confidence in our represenation and the firm will continue to pursue client satisfaction in select areas of the law.